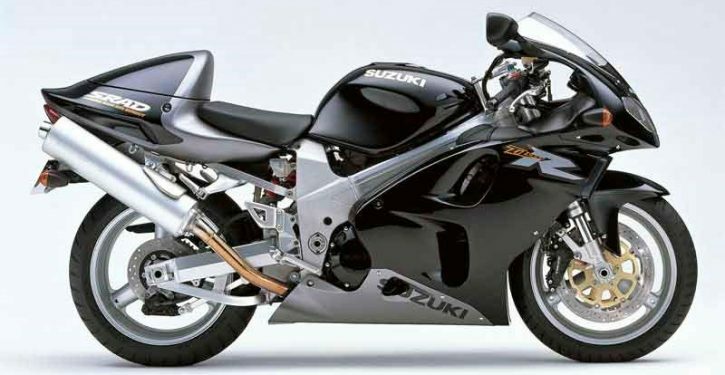 Back in the mid to late 1990s, everyone was following the fad and fashion of the V-twin (well, apart from Yamaha who went the parallel twin route and Kawasaki who didn’t care) and this was down to the likes of Ducati doing very well with their 900SS and 916 ranges. Soon, Honda had their VTR1000F FireStorm and Suzuki the TL1000S. For their next bite of the V-twin cherry, Suzuki would fully-clothe the TL1000 and give it an ‘R’ not an ‘S’ at the end. 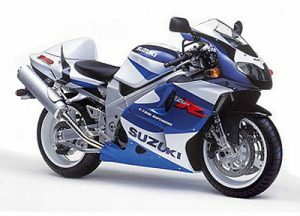 This was to signify ‘Race’ and it was thought that – should the then-new GSX-R750 SRAD not make the grade in racing, a pepped-up TL1000R twin would hit the World Superbike tracks instead… Why else put a ‘V-Twin Superbike’ logo on the flanks? Prices: track bikes (yes, some did make it) are out there for a grand or less, but decent road bikes start around £1500-£2000. Low-milers aren’t too rude at around £3500 – and with the TL-R being a very unique part of Suzuki’s superbike family, we’d say that’s a smart investment. Finally – did they ever race or win in WSB? 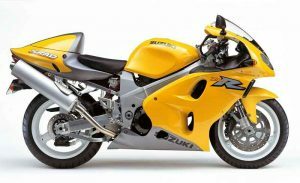 Well, yes and no… in its Suzuki TL1000R guise the bike never hit the track officially, but in AMA it ran for one season. However, the TL-R-powered Bimota SB8R won a WSB race in Australia with Anthony Gobert on board. For: Different, quirky and that’s good, right? Against: Looks are an acquired taste, shall we say? Major changes Colour changes only.